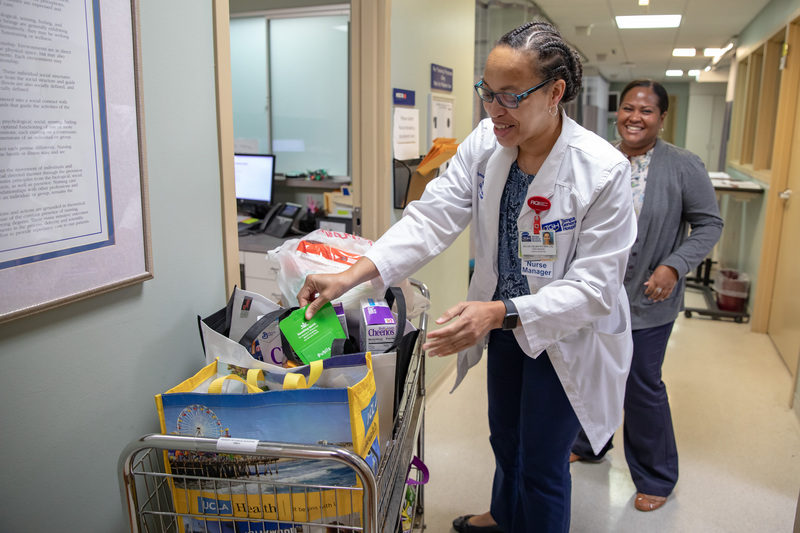 The carts rolled out of Tampa General Hospital like a parade Thursday afternoon, full of food and other goods destined for members of the U.S. Coast Guard as the partial federal government shutdown grinds on. Cheerios, Corn Chex, Cap’n Crunch. Diapers, paper towels, toilet paper. A whole cart piled with bags of dog food. Whole cases of macaroni and cheese. Kegs of laundry detergent. 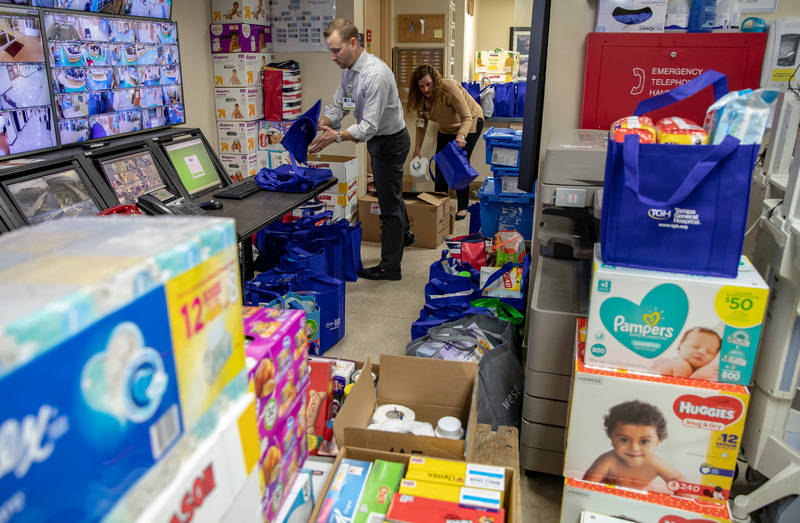 So many basic necessities, suddenly hard to come by now that Coast Guardsmen are among the federal employees working without pay during the shutdown. 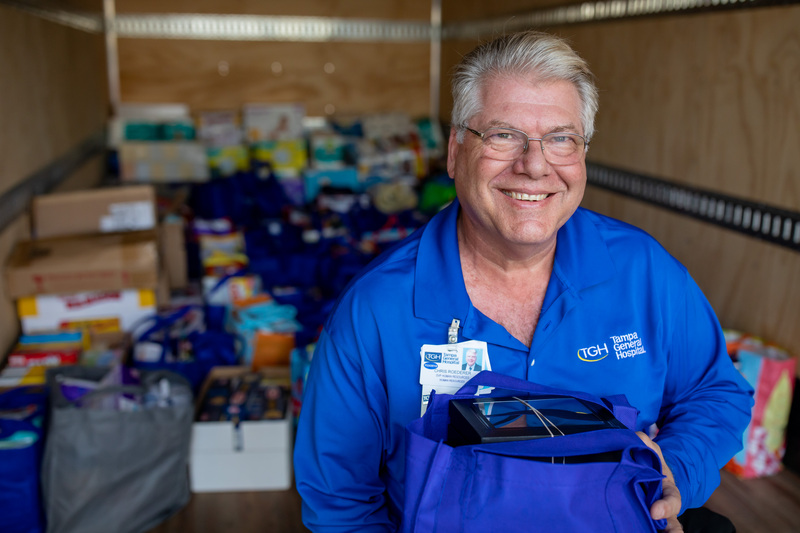 Tampa General team members donated several carts full of food, toiletries and other goods, as well as nearly $4,000 worth of gift cards, Thursday to the Sun Coast chapter of the Chief Petty Officers Association. 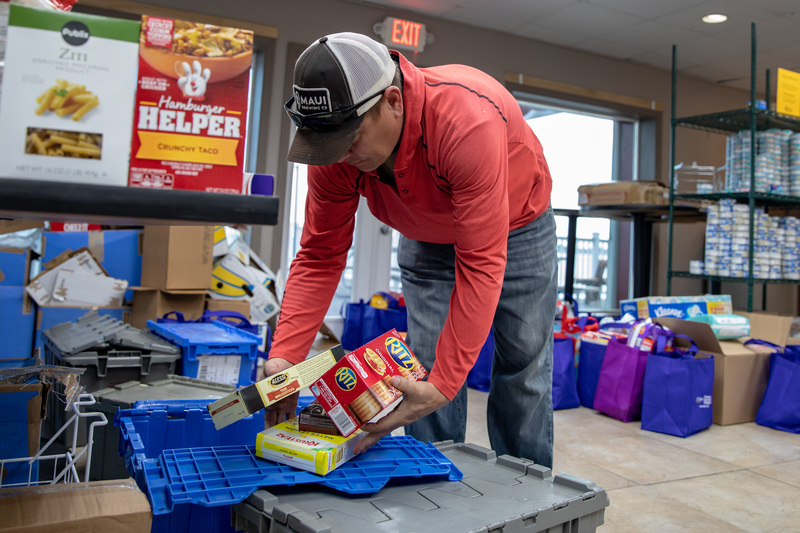 The Coast Guard itself can’t accept donations, but the nonprofit organization has set up food pantries to help service members during the shutdown. 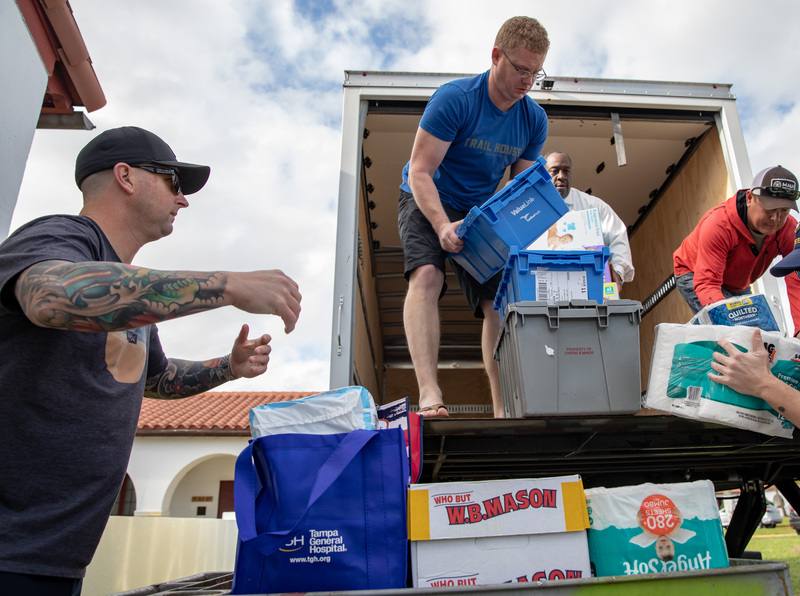 Donating was an easy decision, TGH team members said Thursday as they loaded a truck to deliver to the Coast Guard Base in St. Petersburg. Stephanie Jackson, parking and transportation manager, has a family member affected by the shutdown, as well as friends in the Coast Guard. 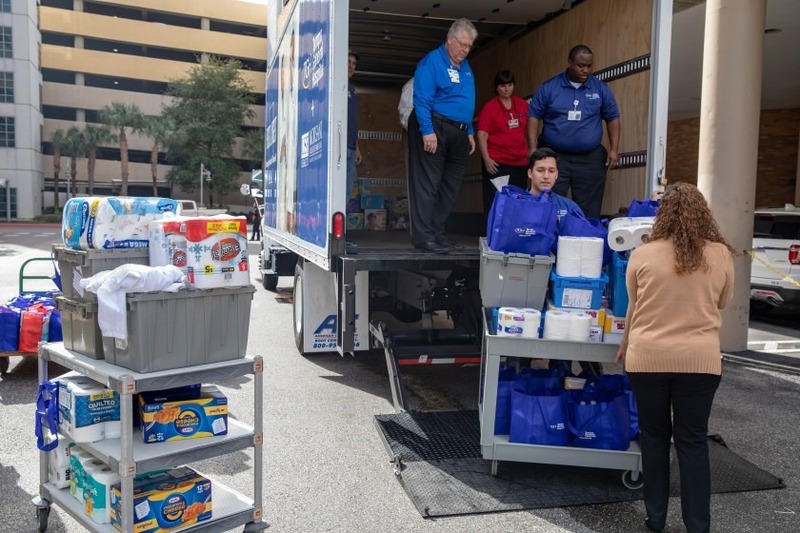 John Couris, president and CEO of Tampa General, and Chris Roederer, senior vice president of Human Resources, agreed over the weekend to ask team members whether they would like to help by making donations either for Coast Guardsmen or for TGH team members whose spouses are going without pay because of the shutdown. The call went out Monday afternoon and the donations began flooding in. Team members donated so many gift cards that Roederer finally gave up on sorting them. Once the TGH truck arrived at the Coast Guard Base, service members lined up to unload it. 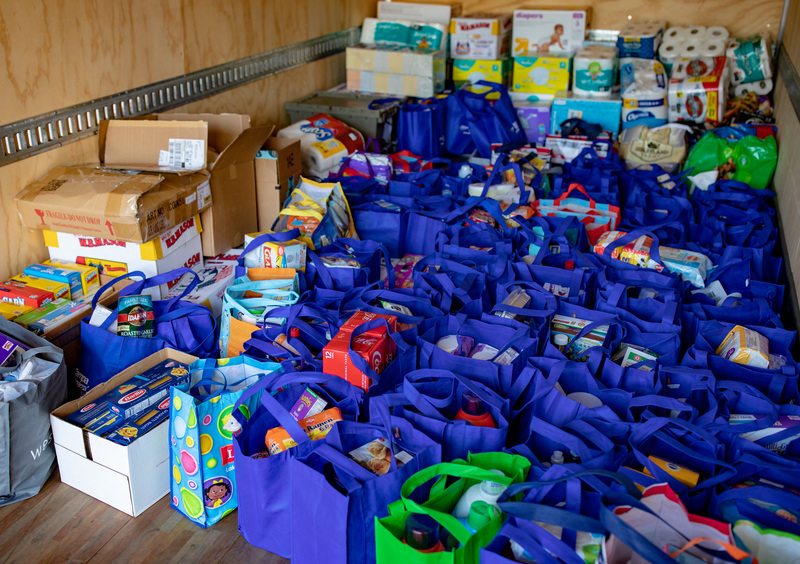 Feeding Tampa Bay, the St. Petersburg Free Clinic, and other groups also have been helping to organize donations to the group. People have called from California, New Mexico and Washington state, Lorentz said. It’s not easy for Coast Guardsmen to accept or ask for help. “The men and women here are holding their heads high,” Lorentz said. People have been donating cash to the group as well. High on the list of needs: one Coast Guardsman posted overseas needs a plane ticket home to Tampa Bay so that he can be here for the birth of his child. Next week, the numbers of those in need will grow. Coast Guard veterans will stop receiving their retirement pay. A room at the base has been set aside to handle the donations. By Thursday afternoon, it was overflowing. Stacks of canned tuna, pumpkin and corn. Five-pound bags of macaroni. A mattress-sized pile of bags of rice. Pop-Tarts and Cheez-Its on one side of the room, boxes of fresh carrots, sweet potatoes and peppers on the other. One table was decorated with a colorful assortment of brand-new dog collars. The room has an ebb and flow, emptying out as service members stop by to pick up food and then refilling as new donations arrive. Late Thursday, Lorentz was still exclaiming over donors’ generosity. Photos by Daniel Wallace, Tampa Genearl Hospital. To learn more about donating to the Sun Coast chapter of the Chief Petty Officers Association, visit https://www.facebook.com/SunCoastCPOA/. The donated goods arrive at the U.S. Coast Guard Base in St. Petersburg.